Synthetic peptide corresponding to Mouse Lipocalin-2/ NGAL. Residues surrounding amino acid 40. WB: Jurkat cell lysate. 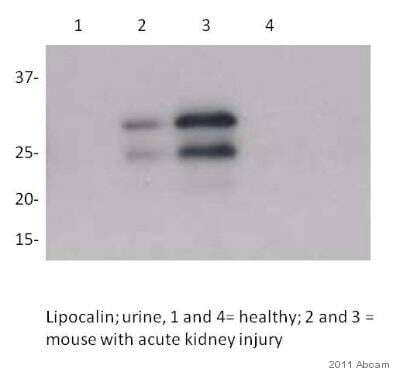 Recombinant mouse Lipocalin-2/ NGAL protein. ICC/IF: NIH/3T3 cells. Our Abpromise guarantee covers the use of ab63929 in the following tested applications. WB Use a concentration of 1 - 4 µg/ml. 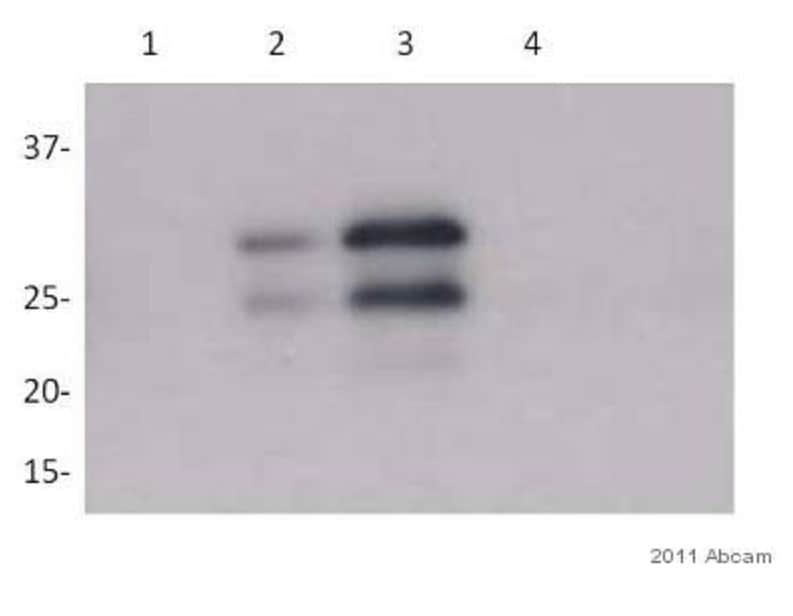 Detects a band of approximately 23 kDa (predicted molecular weight: 23 kDa). 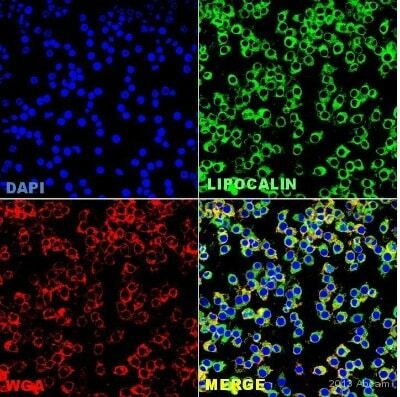 Iron-trafficking protein involved in multiple processes such as apoptosis, innate immunity and renal development. Binds iron through association with 2,5-dihydroxybenzoic acid (2,5-DHBA), a siderophore that shares structural similarities with bacterial enterobactin, and delivers or removes iron from the cell, depending on the context. 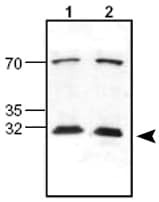 Iron-bound form (holo-24p3) is internalized following binding to the SLC22A17 (24p3R) receptor, leading to release of iron and subsequent increase of intracellular iron concentration. In contrast, association of the iron-free form (apo-24p3) with the SLC22A17 (24p3R) receptor is followed by association with an intracellular siderophore, iron chelation and iron transfer to the extracellular medium, thereby reducing intracellular iron concentration. Involved in apoptosis due to interleukin-3 (IL3) deprivation: iron-loaded form increases intracellular iron concentration without promoting apoptosis, while iron-free form decreases intracellular iron levels, inducing expression of the proapoptotic protein BCL2L11/BIM, resulting in apoptosis. Involved in innate immunity, possibly by sequestrating iron, leading to limit bacterial growth. 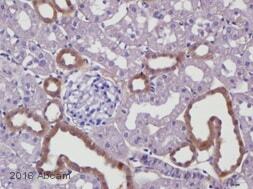 Expressed in bone marrow and in tissues that are prone to exposure to microorganism. High expression is found in bone marrow as well as in uterus, prostate, salivary gland, stomach, appendix, colon, trachea and lung. Not found in the small intestine or peripheral blood leukocytes. Secreted. Upon binding to the SLC22A17 (24p3R) receptor, it is internalized. Blocking: 5% milk for 1 hour at 20°C. ab63929 staining Lipocalin-2 / NGAL in the RAW 264.7 (Mouse macrophage cell line transformed with Abelson murine leukemia virus) cell line by ICC/IF (Immunocytochemistry/immunofluorescence). Cells were fixed with paraformaldehyde, permeabilized with Triton 0.1% + 2% BSA in PBS and blocked with 2% BSA for 30 minutes at 24°C. 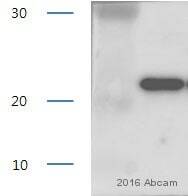 Samples were incubated with primary antibody (1/100 in PBS + 2% BSA) for 16 hours at 4°C. 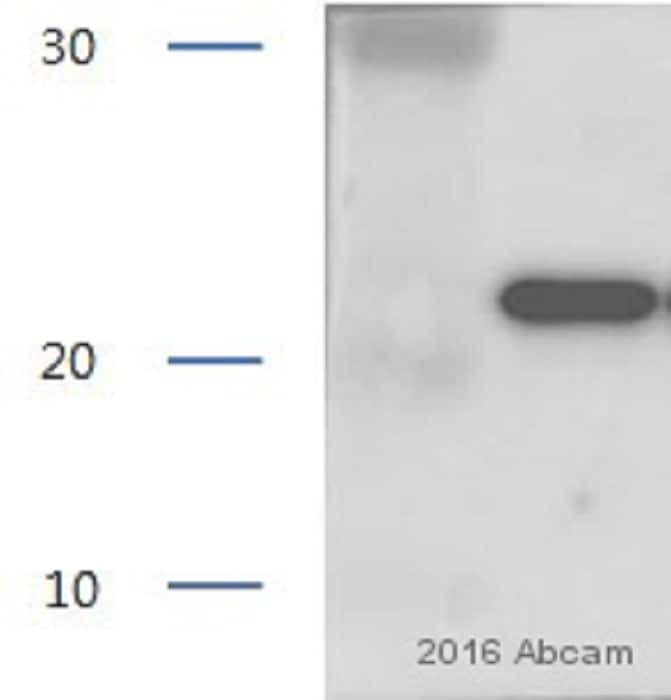 An Alexa Fluor®488-conjugated Goat anti-rabbit polyclona l(1/1000) was used as the secondary antibody. 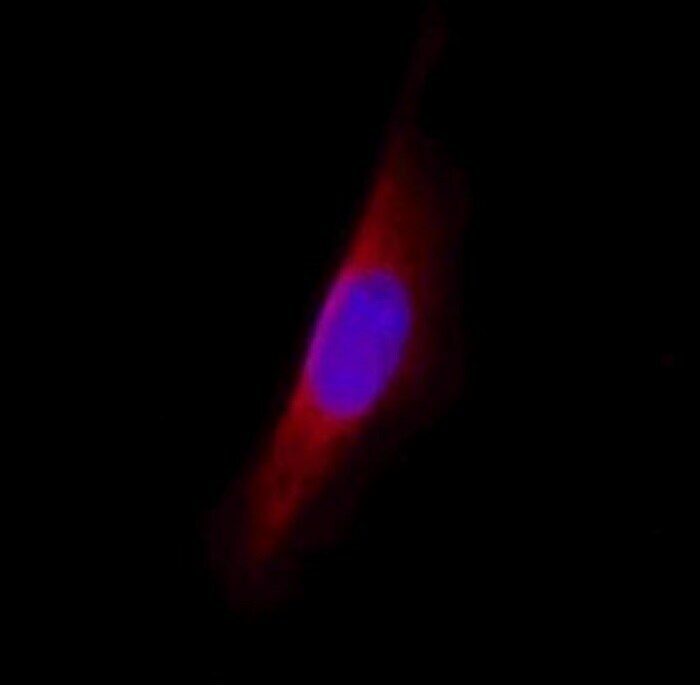 NIH/3T3 (Mouse embryo fibroblast cell line) cells labeling Lipocalin-2 / NGAL using ab63929 (red) in ICC/IF.